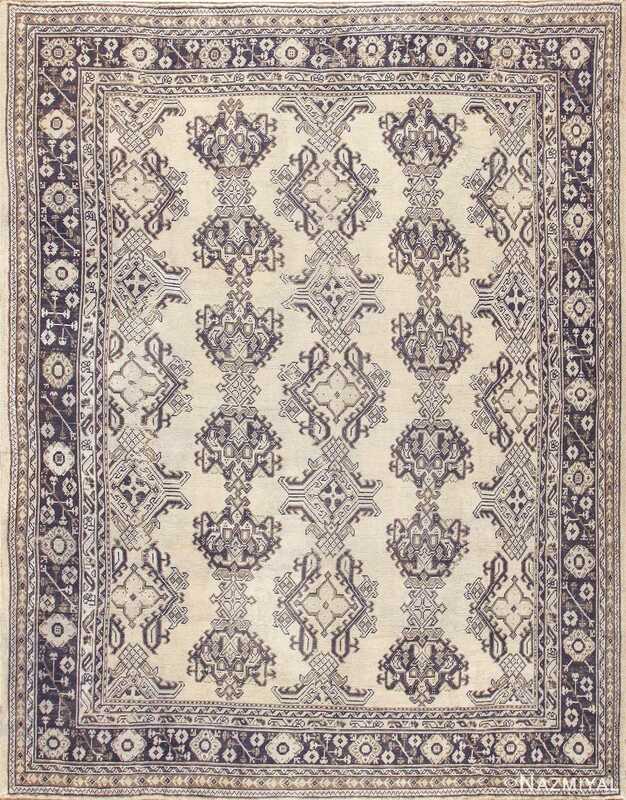 A monumental allover design of classic arabesques and vines unfolds grandly across the field of this impressive antique Oushak. 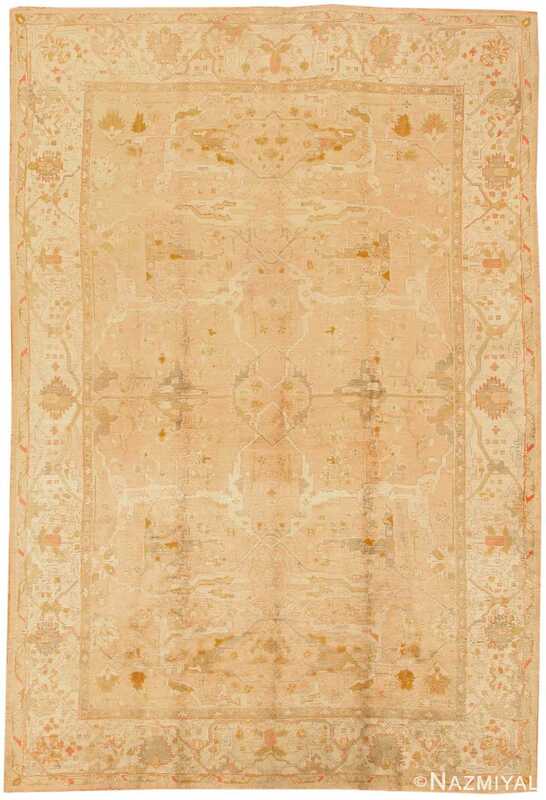 Antique Turkish Oushak Rug, Country of Origin: Turkey, Circa Date: 1900 - A monumental allover design of classic arabesques and vines unfolds grandly across the field of this impressive antique Oushak rug. Within the wide and always exciting world of antique Oriental rugs, Oushak rugs are among the most desirable and sought after by collectors and admirers of fine weaves. 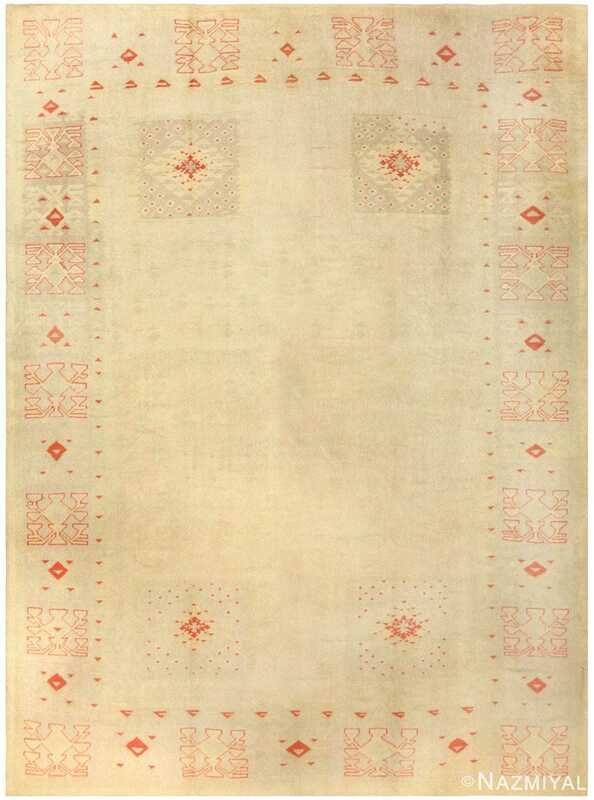 This particular rug, like many of those originating from the same place and time, represents a tremendous artistic achievement. 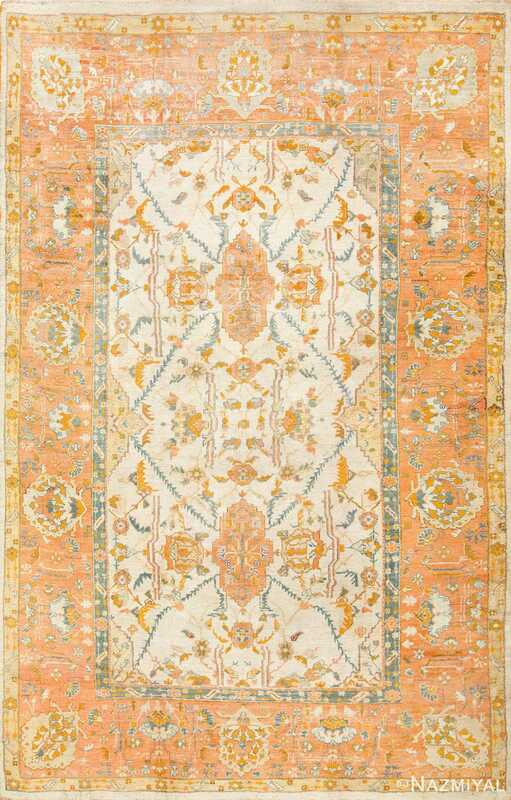 Its gorgeous composition and coloration create for a truly aesthetically appealing Turkish rug that is sure to bring just as much beauty and elegance to a home today as it was upon its original weaving over one hundred years ago.